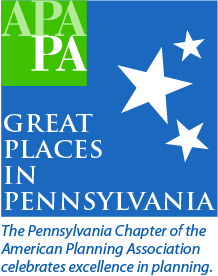 The PA Chapter of the American Planning Association recently kicked-off its 2018 Great Places in Pennsylvania Program. Great Places are unique, memorable places where people want to be – not only to visit, but to live, work and/or play every day. They serve as a model that other communities want to emulate – places of exemplary character, quality planning, identity, cultural interest and community involvement with a sustainable vision for the future. Nominations are now open and we’re seeking the nomination of Great Public Spaces and Great Greenways/Trails. If you know a special public space or greenway/trail that truly stands out in what it offers residents and visitors, NOMINATE IT!!!! A Great Place in your community demonstrates the importance of planning, provides an opportunity for promotion and tourism, and illustrates how local policies and projects strengthen our communities. You can view the Program Guidelines, Category Criteria and Nomination Form on the APA PA website. The Great Places in PA 2018 Program Announcement Flyer also contains links to the Program materials and the Nomination Form. The deadline for Nominations is April 17, 2018. 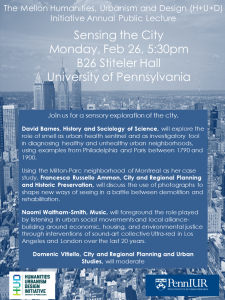 David Barnes, History and Sociology of Science, will explore the role of smell as urban health sentinel and as investigatory tool in diagnosing healthy and unhealthy urban neighborhoods, using examples from Philadelphia and Paris between 1790 and 1900. Using the Milton-Parc neighborhood of Montreal as her case study, Francesca Russello Ammon, City and Regional Planning and Historic Preservation, will discuss the use of photographs to shape new ways of seeing in a battle between demolition and rehabilitation. Naomi Waltham-Smith, Music, will foreground the role played by listening in urban social movements and local alliance-building around economic, housing, and environmental justice through interventions of sound-art collective Ultra-red in Los Angeles and London over the last 20 years. 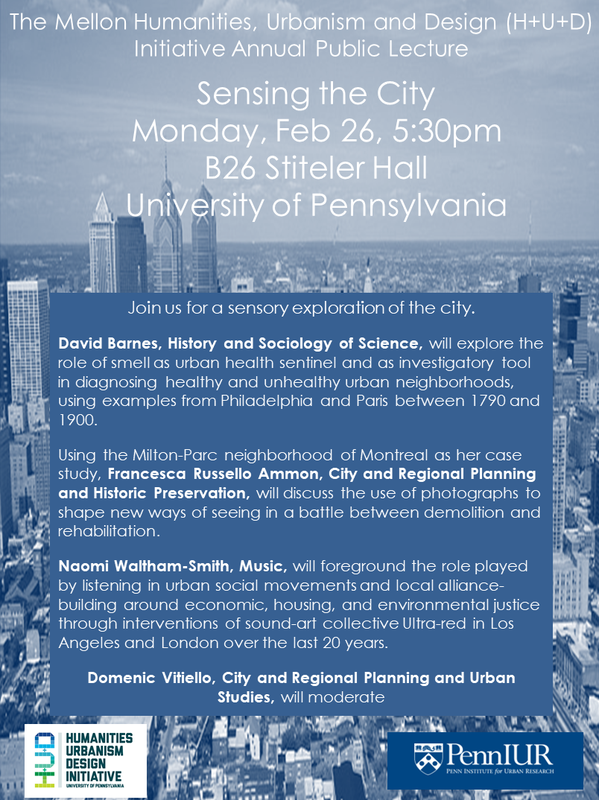 Domenic Vitiello, City and Regional Planning and Urban Studies, will moderate. Fairmount Park Conservancy working with Philadelphia Parks & Recreation seeks proposals from qualified and creative design teams to perform a master plan for the 348-acre Franklin Delano Roosevelt (FDR) Park in South Philadelphia. The master plan will investigate, analyze and recommend approaches to enhance FDR’s ecology, landscape and built environments. 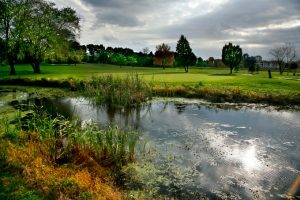 The master plan will also seek to create a shared vision for reinvestment among park managers, adjacent institutions, stewards, non-profits and general park users. View complete RFP including appendices here. 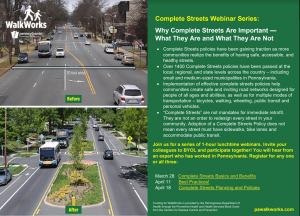 Join the Planning and Community Development Department at Temple University and its partners for a full day of learning and engagement on placemaking strategies used to revitalize commercial corridors in Philadelphia’s neighborhoods. The morning public lecture is free and open to the public. The afternoon design workshop is limited to 25 Temple University students. Learn successful placemaking strategies that have turned commercial corridors into lively public places. 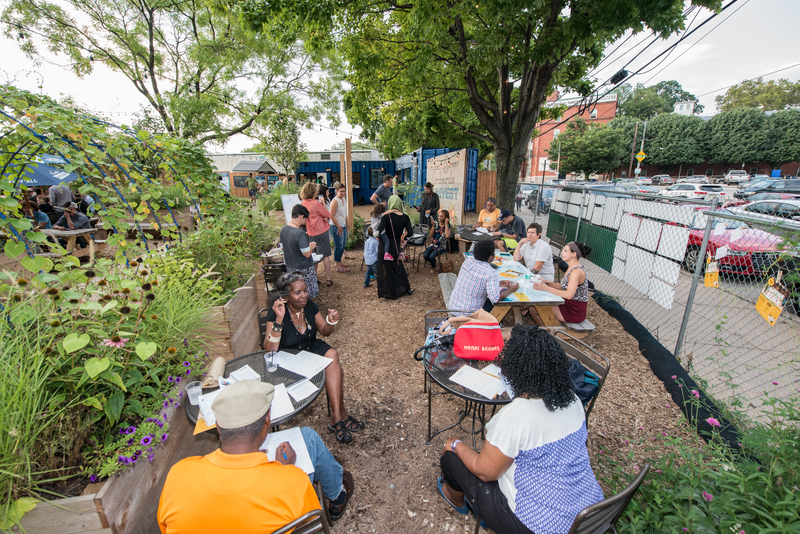 Philadelphia community leaders will share their stories on how they have incorporated arts, market spaces, cultural resources, and green spaces to activate and revitalize commercial corridors. Coffee and donuts will be served. A new breed of parks is boosting tourism and urban transformation. Explore the surprising benefits. Parks have become an unexpected driver of both tourism and urban transformation. Learn about new approaches to urban parks, from reusing industrial sites to rethinking design and function. Hear about unexpected uses, economic benefits, and enticing ways to attract people to parks. Where do parks fit into the work of the planning commission? Find out in a program designed for commissioners as well as planners. 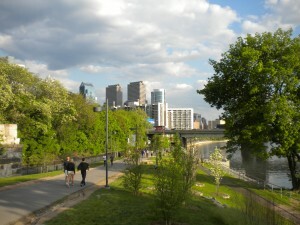 Fit City PHL is a half-day symposium designed to explore the concept of active design, and strategies for improving health by promoting physical activity and healthy eating. It will bring together architects, planners, designers, landscape architects, developers, and public health professionals to learn about how our environment can have a positive impact on the negative health trends our communities are currently facing – particularly obesity and other chronic conditions.